'WTF Wednesday': The former UiTM Perak lecturer argues that when "women are not qualified to lead a family, how can they lead something larger?" Meet Izat Bukhary Ismail Bukhary. 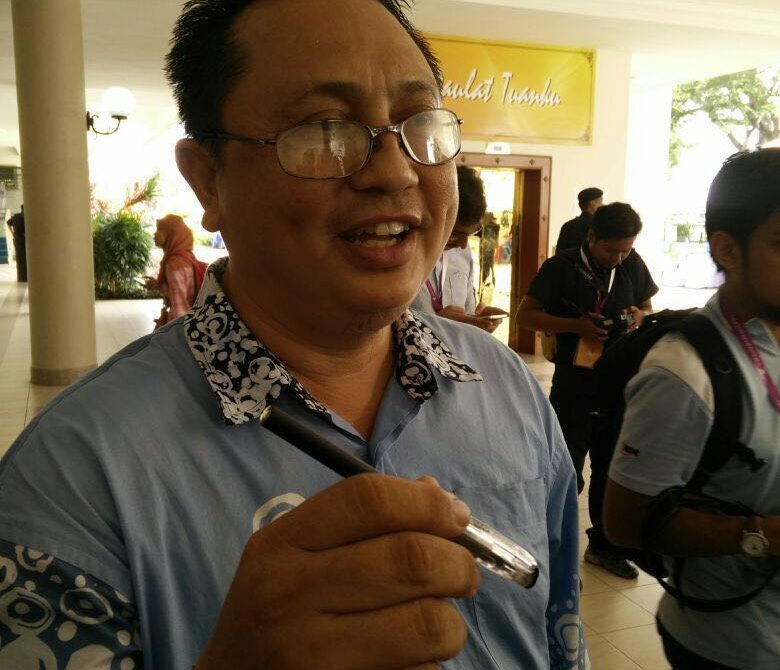 He is contesting the Kuala Kangsar by-election as an independent candidate. It's not his first time trying his luck in politics. He has been doing this since he first ran in the 2013 General Elections for the Pengkalan Kubor parliamentary seat and failed. While you can praise Bukhary's will to continue on his political aspirations, you cannot help but wonder why he has failed to make a mark in the last three elections he contested. It might have something to do with how the 49-year-old views women. According to him, if women become state or country leaders, there will be problems. He has held this sexist viewpoint against women since he started contesting elections. In fact, in this Astro AWANI piece from 2014, Bukhary even goes on to claim that allowing women to become leaders went against the principles of Islam. "Even Islam says a leader must be a Muslim first and along the line, the leader also must be a man. In Islam, God forbid women from leading a family, what more a state." He says he is contesting the Kuala Kangsar by-election because he reportedly doesn't trust women leaders and wanted to provide Kuala Kangsar voters with an alternative to the two female candidates in the Perak parliamentary by-election —BN's Mastura Mohd Yazid and PAS' Dr Najihatussalehah Ahmad. "I don't believe in women (leaders) because men lead women. If they (women) are not qualified to lead a family, how can they lead something larger?" Bukhary was quoted as saying by The Malay Mail Online on 5 June 2016 after he submitted nomination papers. "I have never agreed to women being leaders from the beginning. I feel men should be leaders and I don't believe in political parties because they are all 'cari makan' (looking to serve themselves). Parties only push people further apart." An initiative that is supported and spearheaded by two of the most prominent women leaders in the country, Ambiga Sreenevasan and Maria Chin Abdullah, among others - seeking the ouster of PM Najib Razak in return for the political support of Dr. Mahathir. Men like Bukhary find it easier to dismiss women's stake in society and politics under the guise of religion so to further assert their control on them. But men like Bukhary also easily forget that no religious argument can keep women from claiming what is rightfully theirs. Be it taking care of her family or even leading a country. 'WTF Wednesday', as the name suggests, is a column about the most WTF piece of news the world has on offer on a Wednesday. If you come across a news item that you think deserves to be featured in our 'WTF Wednesday' column, send it to [email protected] with 'Submission for WTF Wednesday' as the subject line. If we like what we see, we will get back to you! IMHO, ISMA wants to control Malaysian women with their stone age mentality.